14.3 acre farm, rolling pasture/pond and huge trees, stream, 1500 sq ft, 4 stall, timber framed dutch barn, easy access to shopping and I-75. Schools nearby. Ranch style farm home was built in 1957 and refurbished in 1987 and 2015, 2000 square feet, 3 bedroom, 2 full baths. 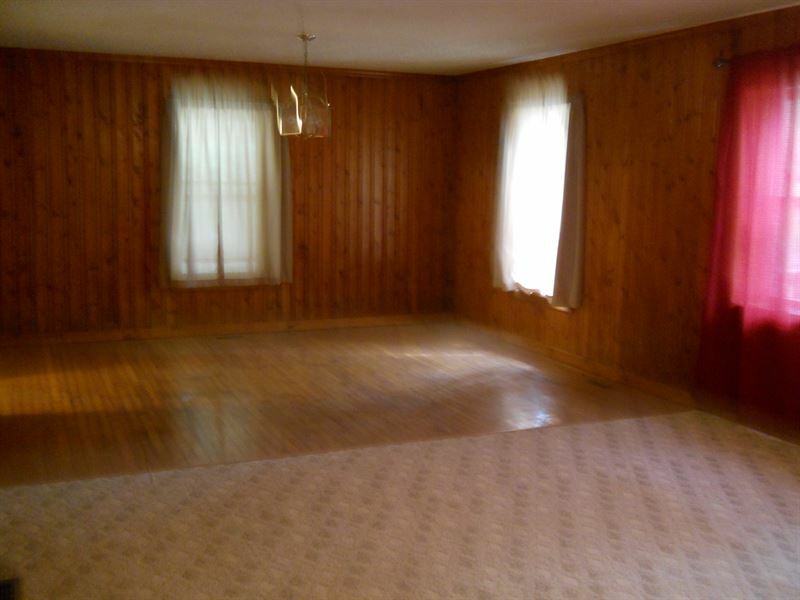 Some hardwood floors and pine paneling. Large back deck overlooks property- looks like a park. Great place for animals and kids. Credit not good? 100% Owner financing available for the right person. 5% down payment 7% interest on your monthly payment amortized over 30 years would be with a balloon in 3 years and your new good credit would qualify for a competitive rate refy. For more information text me your name and e-mail and I will reply with an attachment with all the details.